[vc_row][vc_column][vc_single_image source=”featured_image” img_size=”large”][thb_gap height=”40″][vc_column_text]Going through a divorce can be akin to bereavement. And although it’s hard to envision now, things can and will get easier. These tips may help you get through it and move on. Like all other major life events, dealing with a break-up of your relationship is a process. It has a beginning, middle and – thank goodness – an end. As we go through this process our emotions, finances and even health can suffer. Some days you will feel positive, alive and free; other days you’ll feel utterly dreadful. The key is not to panic when you do have a bad day. It’s vital to acknowledge your feelings, whatever they are and however scary they may be, at every stage of the process. Once you’ve recognised how you feel and have allowed yourself to let those feelings out where necessary, you’ll slowly start to find that the bad days are fewer than the good. You may have been told that divorce is like bereavement and you may be scared that you’ll never get over it. But even if you do feel like this at first, it won’t always be this bad. There is no reason why you can’t emerge from this stronger and much more self-aware. The thing to realise is that even if you feel alone, you’re not. So many people have been through this and are going through it right now too. Their finances have been burnt, their emotions fried and their lives changed. But they have survived and the majority have gone on to much brighter futures. Here are three tips to help you survive and find a life after divorce. Don’t let your kids feel your function after divorce is little more than providing a McDonald’s Happy Meal and a Sunday trip to the zoo. The term ‘weekend parent’ is one we are becoming all too familiar with and one rife with negative connotations. Of course, children are always emotionally and practically affected by divorce, and there is never a ‘good’ or ‘bad’ age for your child to go through it. In fact, more psychological damage can be caused by the ‘staying for the kids’ approach. 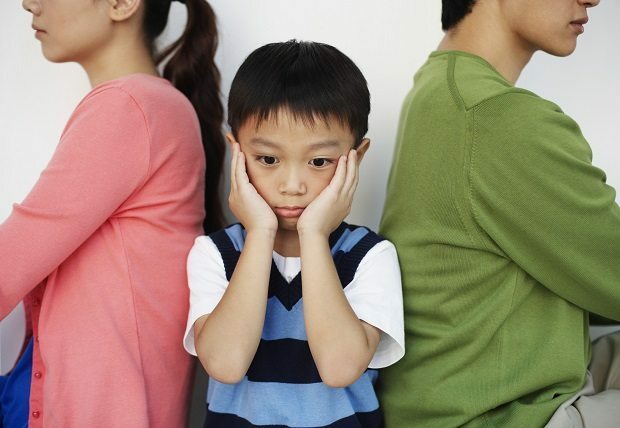 The family atmosphere can become bitter and stale, arguments can become the staple of communication and the child can ultimately feel to blame. Divorce at any age will challenge your child’s sense of stability and security and it’s important to reassert some form of normality. A good way to do this is to quickly instigate a routine, which offers stability and a sense of place. Make sure that your child knows they will always see the parent who is leaving on a regular basis, even if your child has unlimited access to you or your ex. The key is to be constantly aware of your child’s state of mind and behavioural patterns. Your child will need a support network in a similar way that you will. Friends, family, and teachers can all help to provide stability and support. Divorce is never going to be easy for any family but, with the implementation of some practical ideas, it can become a useful rite of passage for your child. Why does your circle of married friends start diminishing as soon as you first mention the word ‘divorce’? When you get divorced, you suddenly realise that the ‘Five Go Wild in Bournemouth’ approach to friendship only ever worked for Enid Blyton. Unfortunately, during and after a divorce you’ve become a ‘one’. While this may be difficult, it’s much better to find out who your real friends are right from the start. This also means that you need to work hard at your existing friendships. Things have changed, and even if you have been friends for many years your change in marital status will need some getting used to on both sides. Many couples, even if they’re usually as together as strawberries and cream, will see your newly single status as a threat to their own stability. Focus on friends who can see you and not just their own insecurities. If you find you’re a bit short of such people, actively try to widen your social circle. Think of any interest you may have and go for it, however boring or wild that may be. Research it online or through your local library and find out about any ways you can get involved. Whatever interesting activities you fancy, cast out the fishing line of friendship and see what bites you get. And if it takes a while, don’t panic! Just make sure that tomorrow, you’re trying something new. The web is a great place to meet someone new and have some fun. You might even fall in love. Getting back into the dating game can be daunting after a divorce, but for those of us who rate a trip to a singles bar as about as much fun as a trip to the dentist, then online really can be divine. Consider this: unless you fancy heading off to a speed-dating event, where else can you sift through 30 prospective dates in an evening? Or where can you state your exact requirements for a new partner up-front without being considered pushy? Extracted from Life after Divorce by Infinite Ideas.